We had a lovely time at this morning's Craft Group. 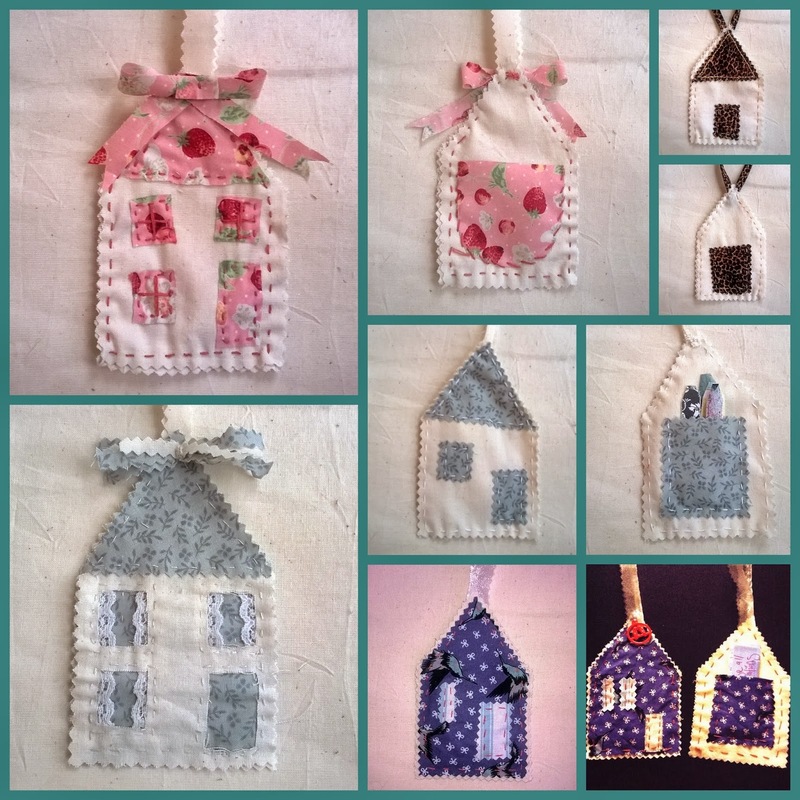 We made these wonderful little hanging houses (adapted from Margie Romney-Aslett's Chrismas House Tutorial from the 12 Artsy Ornaments of 2013 Workshop I did last year) from calico and scrap fabric with a pocket on the back in which to place strips of card with Positive Affirmations. We wrote things such as "I am loved", "I am creative" and "I am Just Fab"! It's so important to think positive things about yourself, because if you don't love yourself, how can you expect anyone else too? We had a hard choice choosing what slice of cake to have with our coffee at break time...coffee and walnut, carrot, cherry bakewell??? Decisions, decisions!!! Our ladies had some lovely things to show us at "Show and Tell" which included art work, photos of fabulous cake decorating and two of our ladies had recently been on a wire knitting course and brought delicate bracelets they'd made with fine wire and seed beads. Our next session is on Friday, 14th February at 10am, so do come along...there's no need to book.